With the increasing appetite for investments into African jurisdictions, the South African private equity landscape needs to adapt in order to attract direct foreign investment and to facilitate the seamless investment and divestment in and from these jurisdictions. The choice of vehicle for a private equity fund is driven essentially by two factors – limited liability for investors and tax efficiency. Whilst the legal status of companies is well established and the limited liability position of shareholders clear, companies are inefficient for tax purposes as they are separate taxpayers in their own right. For this reason, South African private equity funds usually take the form of en commandite partnerships (Partnerships). Partnerships for South African tax purposes are fiscally transparent, which means that any income flowing through the Partnership retains its character and is taxed in the partners' hands. As a Partnership is not a separate entity and not a taxpayer in its own right, the double taxation agreements (DTA) between each partner's home jurisdiction and the jurisdiction where the investments are located may provide for reduced withholding taxes. Should there be no DTA (as is the case between some African and European jurisdictions) withholding taxes will be levied at their full statutory rates on that partner, making that investment less attractive and as a result deter the Investors. To mitigate this inefficiency, Partnerships utilise a dual fund structure that provides a second mirrored partnership that is established outside of South Africa, with the same intention, investment strategy and structure as its South African counterpart (the Foreign Partnership). These Foreign Partnerships are ordinarily established in Mauritius, Guernsey, or Jersey and are usually the sole shareholder in an investment holding company that is able to access DTA networks to mitigate the inefficiencies alluded to above. A disadvantage of the structure is that it is costly and administratively burdensome. Given that South Africa has an extensive DTA network, South Africa is ideally placed to facilitate investments outside the common monetary area (the CMA) countries (especially those in Africa). However, South African legislation currently lacks a suitable investment holding vehicle regime for a Partnership's foreign Investors to invest through. 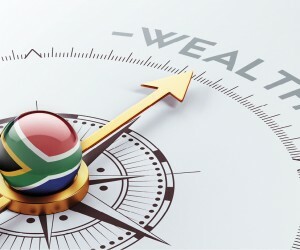 where the company's gross income for the year exceeds R5 million, at least half of that income must be comprised of either (i) rentals, dividends, interest or service fees paid by a qualifying foreign company; or (ii) proceeds from the disposal of foreign qualifying shares or intellectual property. the HQ can elect its functional currency and therefore not incur income tax fluctuations on foreign currency. The South African Reserve Bank requires the investment holding vehicle to meet the following requirements in order to access the HQ exchange control benefits: each shareholder in the HQ needs to hold at least 10% of the equity shares and voting rights in the company; no more than 20% of the HQ's shares may be held directly or indirectly by South African residents; and at the end of each financial year, 80% or more of the assets of the company must consist of foreign assets (excluding cash, cash equivalents and debt with a term of less than 1 year, which are not taken into account). Should the investment holding vehicle meet these three requirements, then the investment holding vehicle will be treated as a non-resident for exchange control purposes, be able to obtain, and advance offshore loan funding without exchange control approval, as well as be allowed to elect its functional currency. At face value the HQ regime seems to be an attractive proposition however it has one major pitfall in the context of private equity. Without even looking to the limited partners, a Partnership's general partner will never hold at least a 10% of the interests in the Partnership and therefore the underlying HQ. Under the current regime, fund managers are therefore limited to using the "dual fund" model in order to attract offshore capital. The benefits which the HQ regime is positioned to attract, such as increasing foreign direct investment into South Africa, improving the Balance of Payments, job creation, and creating a wealth of technical expertise within South Africa are therefore frustrated. Section 9l of the Income Tax Act, in our view, needs to be expanded to allow private equity funds as so-called permissible shareholders, thereby enabling the Partnership to meet the HQ definition. This would encourage investors to use South Africa as a preferred African investment destination. 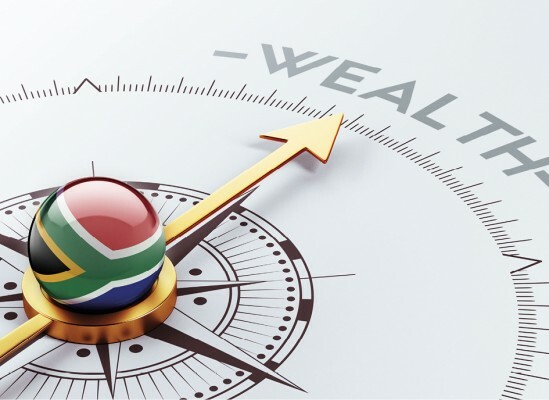 The need for a "dual fund" model would become redundant, thereby bringing all capital directly into South Africa for purposes of investing across the continent. Ultimately, it would attract more foreign investors into South African Partnerships, as they would be able to invest through a "one-stop-shop" which would cover both CMA and non-CMA investments and allow for South Africa to become a true investment gateway to Africa. By implementing these amendments, there would be no adverse consequences to the South African fiscus. Not having the burden of a Foreign Partnership will result in an increase in direct foreign investments, South Africa becoming more competitive as an investment gateway jurisdiction, retention of key skilled employees in South Africa and all forms of administrative and office support being rendered in South Africa, thus significantly contributing to multiple sectors of the South African economy and general consumer spend.